Paella catering for your party doesn’t have to cost the earth. 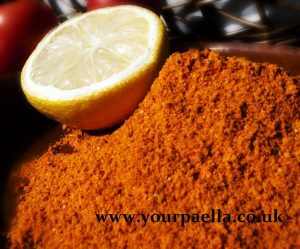 Paying a small fortune for Paella for your next party or event won’t guarantee that you are getting a better tasting Paella. When the Spanish made Paella in the beginning, it was cooked by the peasants and they used whatever they could get their hands on at the time. These days most Paella’s are made with mixed shell fish and meat and rice with a few vegetables. So when I see Paella catering company’s charging £13.00 plus per head it makes me wonder why it costs so much? If they are cooking for only a hand full of people and don’t get their produce wholesale then I can see that the costs will spiral, but if its being cooked for 100+ people and the produce is brought from a good wholesaler/s then just like Your Paella it should be able to be supplied at a much better price. 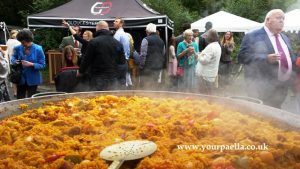 Your Paella can come to a venue and cook 100+ portions of a mixed, meat or vegetarian Paella from just £8.50 per head and its a fantastic Paella. You can see some of their past clients comments here, Yell.com. 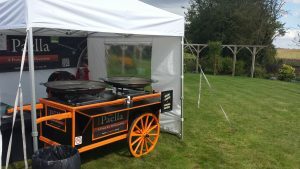 Most if not all other Paella catering company’s come to the event or venue with large Paella pans on a tripod type stand. Then they cook Paella for you and your guests. When Your Paella attend an event or party to cook delicious Your Paella they also bring the Paella Cart! As seen below. The Paella Cart looks so much more impressive to your guests than a couple of simple triangle stands and its a lot safer too! Now lets go back to the price. As I have stated before, most Paella company’s charge in excess of £13.00 per head for a typical Paella. So what is a typical Paella? A typical Paella consists of, Extra virgin olive oil, tomato, onion, rice, peppers or other vegetables, chicken, mussels, clams, prawns, squid, garlic, stock, saffron, herbs and some Lemon juice to squeeze over it just before you tuck into it. In a lot of cases the shell fish will still be in its shell. That’s fine if you want the Paella to look good but when it comes to eating it, it can get a little bit tricky to get the shell off and not cover your fingers in a bright orange colour! Not a good idea if your wearing your best party clothes! So what goes into Your Paella? Well for a mixed Paella, we start with the extra virgin olive oil, then we add Spanish Chorizo sausage that has been cut into chunks and we lightly fry, then we add chopped onion and chopped red peppers, tomato, a vegetable stock, chicken slices, mixed shellfish, without the shells so you don’t get covered in orange when your eating it, rice and the saffron with garlic and other herbs, fresh Lemons to squeeze over Your Paella. so in a nutshell you get a fantastic tasting Paella at a far better price! Now I know what your thinking, “How can Your Paella do all this for just £8.50 per head? 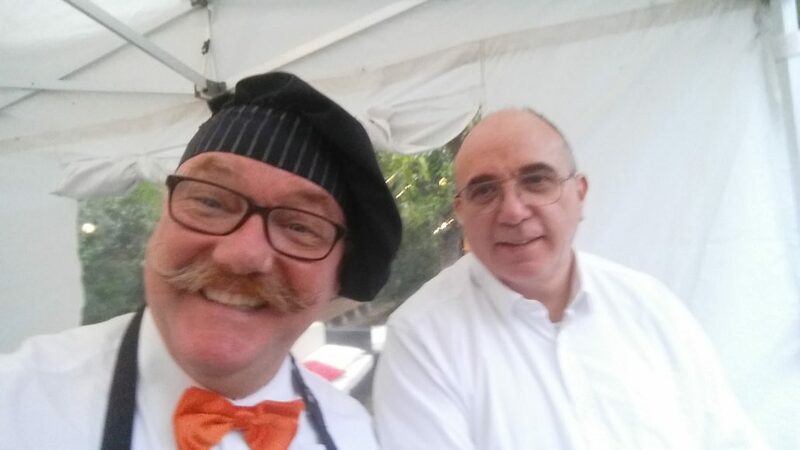 Well quite simply, as long as we are cooking for 100 or more servings and we don’t need to travel to far (We cover the whole of the UK but will need to add fuel and travel costs in some cases) and due to the fact that we buy all of our stock wholesale at a much better price its possible to come to an Event or party and cook a delicious range of Your Paella at an affordable price without compromising on the quality of the Paella’s. So for your next special occasion or party, corporate event, why not give your guests something special that won’t break the bank? Why not give them Your Paella! Contact them today for a FREE no obligation quote! Click here. https://www.yourpaella.co.uk/wp-content/uploads/2017/05/20170506_185720.jpg 1080 1920 Gary Evans https://www.yourpaella.co.uk/wp-content/uploads/2019/01/logotrans1-300x106-300x106.png Gary Evans2013-03-05 11:00:442017-06-01 16:53:59Paella catering for your party doesn't have to cost the earth.